Royalty-free stock illustration of a centaur, a mythological creature that is half horse and half human, being on guard with his spear. 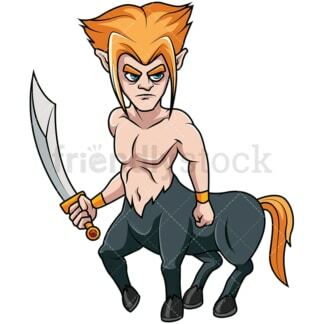 Royalty-free stock illustration of am irritated centaur, a mythological creature that is half horse and half human, holding a scimitar short sword. Royalty-free stock illustration of a centaur, a mythological creature that is half horse and half human, as seen from the front. He is holding a sword and wears an earring. 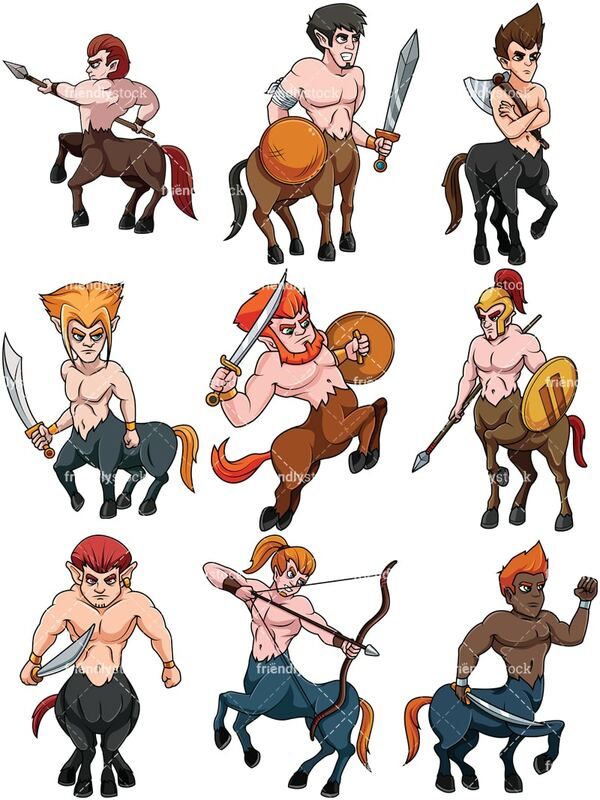 Royalty-free stock illustration of a centaur warrior – a mythological creature that is half horse and half human. He holds a sword and a shield while wearing a bandage on his arm. 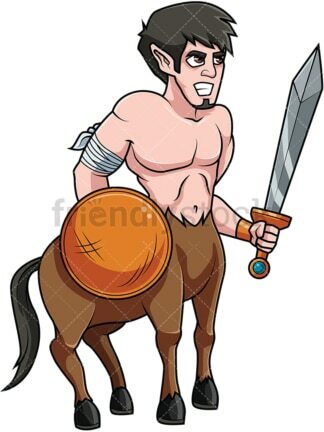 Royalty-free stock illustration of a centaur holding a scimitar short sword and a shield while rearing like a horse, getting ready to charge into battle. Royalty-free stock illustration of a centaur, a mythological creature that is half-horse half-human, pulling the string of his bow while aiming and getting ready to fire an arrow. 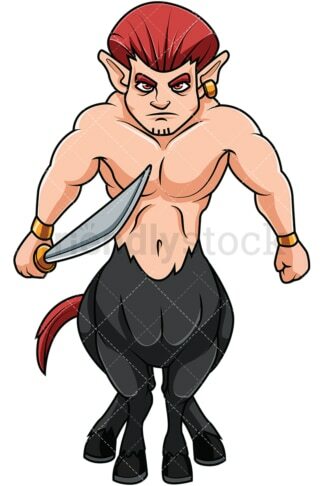 Royalty-free stock illustration of a centaur, a mythological creature that is half horse and half human, holding a one-handed axe while crossing arms over chest, looking serious. Royalty-free stock illustration of a centaur, a mythological creature that is half-horse half-human, holding shield and spear while wearing a helmet to protect himself in battle. 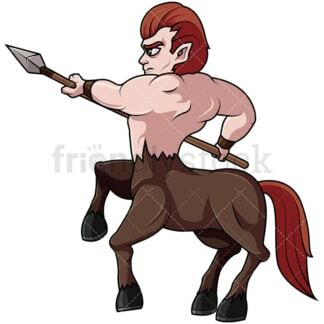 Royalty-free stock illustration of a centaur, a mythological creature that is half horse and half human, holding a scimitar sword as he marches forward.